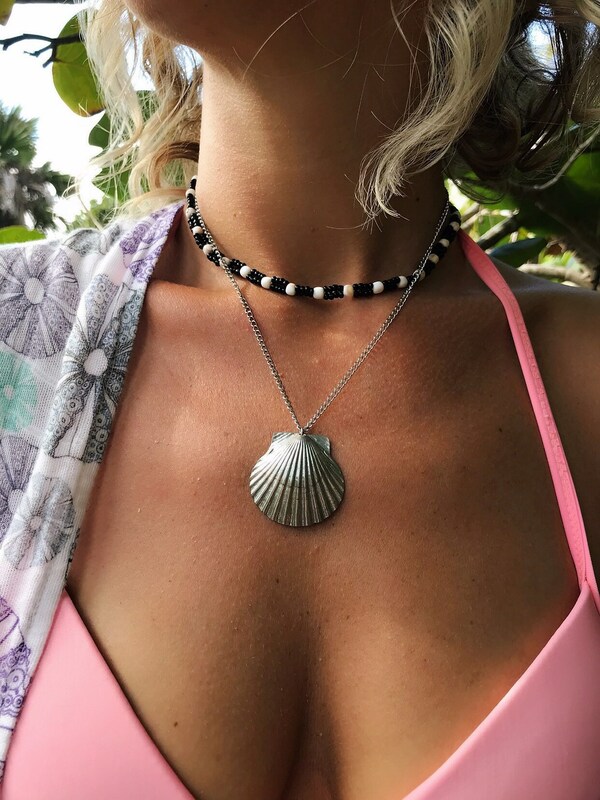 This is a listing for two separate items : Vintage Pewter Seashell Necklace and Shell Beaded Choker . See the last picture for the description for each piece . If you need help please don't hesitate to ask ! 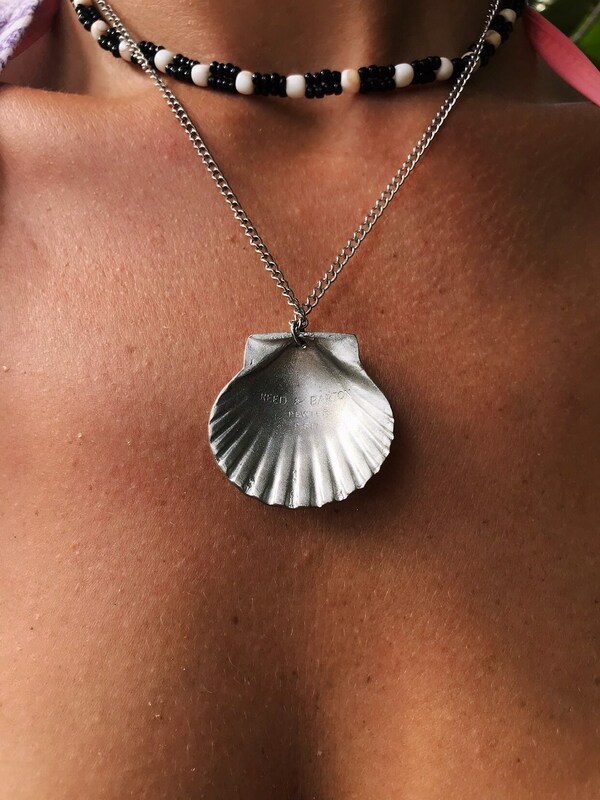 -The shell pendent is made from Reed and Barton Pewter. -Pewter will never deteriorate over even rust and is the fourth precious metal in the world besides platinum, gold and silver. -Total lenght of necklace measuring from end to end is 17.5 inches. - Made from small black beads and round white shell beads. - lobster claw spring clasp closer and length can be adjusted. - Total lenght of necklace measuring from end to end is 17".